General business activity: the world leader in the production and sale of machines for Crop Establishment, Crop Protection, Hay & Forage and Livestock solutions. «Ukraine is a strategic country. Such a company as KUHN cannot afford itself not to be present in this country and in this market in general. It would be a great mistake if we were not here», told the CEO of KUHN Ukraine Asad Lapsh. 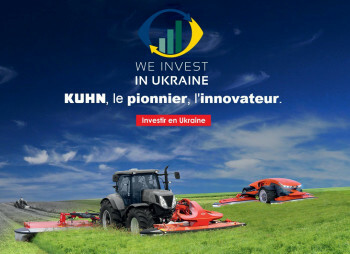 InVenture: Why KUHN has chosen Ukraine as a destination for its investments? If to discover a map of the Earth for a country ─ about size, soil, history of agriculture ─ Ukraine is one of the largest producers of grains and oilseeds in the world. It was, it is and it will be this way, for many years from now. The location of Ukraine is advantageous. If Ukraine joins the EU, it will have a comparative advantage in a similar vein in production of milk and milk products. For this reason, such company as KUHN cannot afford itself not to be present in this country and in this market in general. It would be a great mistake if we were not here. After all, every big company that is present all over the world must also see the world as a market at large. During the 90s, the company had been developing very rapidly and we had to make a choice of where to start our expansion - beyond Europe. At that time, the Americas were chosen - South and North. We started investing in America. We bought two plants, modernized them and increased production. Then we developed further in Brazil and Argentina. Our next step is to increase and improve our presence in the Ukrainian market. 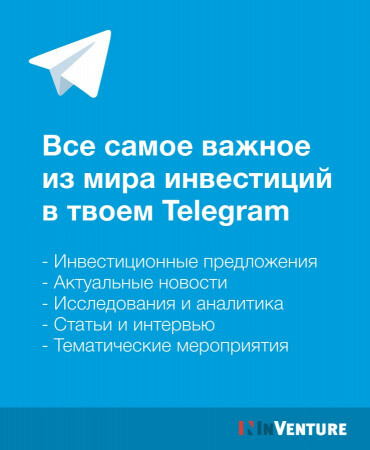 InVenture: Please tell us a few words about the first steps for KUHN as an investor in Ukraine? The KUHN products began to appear in the 90's here, when local farmers themselves started to buy agricultural machinery and bring it here. They were enthusiasts. At that time, there were very few dealers. And the farmers who developed themselves brought some used equipment, as a rule, and exploited it in the Ukrainian market. At the beginning of 2 000, when the company realized that the Ukrainian market was developing and that dealer companies started to appear, KUHN decided to hire a person (at that time, there was no KUHN-Ukraine company), who began to promote KUHN brand and some types of product range for the Ukrainian market creating a network of distributors too. And in 2006, we decided to open a representative office in Ukraine, as sales turnover had started to grow. KUHN-Ukraine was established on March 10, 2006. Until 2014, our major task had been to support dealers more. In those days, KUHN-Ukraine worked more like a back-office monitoring the market. Most of the work here concerned logistics, making contracts, and related to transportation of equipment. To a lesser extent, we were engaged in the evolution of marketing of the brand in Ukraine, and to a lesser extent we participated in promotion and sales of some specific types of equipment. In 2014, a decision was taken for KUHN-Ukraine to step out with a more proactive attitude. In this respect, we increased staff altogether with improved supplies of spare parts and product range for the Ukrainian market. We can boast about having the largest spare parts warehouse in the whole Ukrainian market among other manufacturers too. This is up to 6 000 thousand items worth more than EUR 3.5mln. InVenture: What market share of agricultural machinery does the company have in Ukraine? and in the world? As of present, KUHN is the world's largest producer of the mounted and trailed machinery. We have 3 050 items of different product range. We produce more than 65 thousand units per year. Our main advantage is in the variety of our farm equipment. Therefore, each product has to be considered separately. I mean what market share in particular? Different countries have different aspects and types of equipment at need. For instance, animal husbandry is more developed in Denmark. That is why we enter competition in that area there. Each market has its own peculiarities and segments thereof. What are Ukraine’s majors? These are grains production. That is why our best sellers are crop seeders and drills, cultivation equipment, and spreaders. From the very start, we are among top three companies in tillage tools in Ukraine. More recently, the agro-holdings started to appear in the Ukraine’s market. That’s why everything in regards to market position depends upon the tenders of those agro-holdings. As a result, we became top three leaders in sales of spreaders and grain drills, despite the fact that we had started sales of this sort of equipment not that long ago. We grasp about 85% of the mounted and trailed machinery in respect to everything relating to fodder production (hay and forage tools). We are leaders but the market is not large in this segment in particular. This segment is smaller than for tillage tools but we are certain that it will grow. And there, where is a technological approach in production of milk, we are leaders in Europe, for example. That is why, we are confident enough that when the market grows and expands here we will become leaders too. 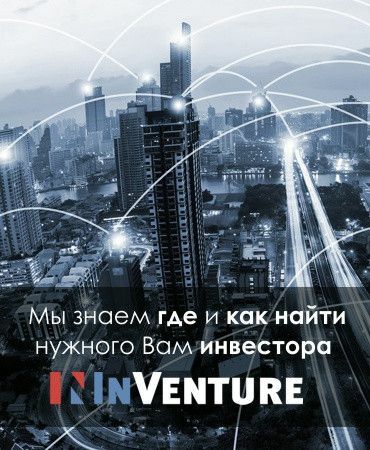 InVenture: Do you have plans to expand in Ukraine? Yes, we do have such plans. I joined the company in 2014. One of my tasks was to build a considerable KUHN center in Ukraine, in Kiev in particular. But the events of 2014-2015 pushed back this plan a little. And now this idea is coming up again. We had been searching for an indoor space to be purchased, for a long time. But for the rural equipment in its kind, it is more likely difficult to find something that would meet all the needs. Now, we are looking for a 3-4ha of land to organize business there, and we carry estimations for such a project. We plan to build our own warehouse and private office space until 2019-2020, as a must. We need to have an educational center for dealers and farmers with a sufficient area of land. It very well reflects the company’s attitude to Ukraine’s market. We all know that the market is volatile ─ there is a crisis every 3-4 years here ─ but we look at the situation in a different way of the long run, as our company has a great history of more than 200 years. That is why, we are certain that we have to be present here firmly. We have to provide best services for our companies, best practical studies and trainings in order that people may use the equipment correctly to gain profits. Besides, KUHN has started its educational center at the National University of Environmental Sciences of Ukraine (NUESU), where we teach students. Most commonly, young companies do not look that far. As a rule, the senior officers think in the life span limits. If he or she is 50, the outreach will be 10-15 years and he/she will do the things which can be seen in the lifetime. But the other case is with a large and old company that thinks about the long run. InVenture: You mentioned about the scientific and technological center at the NUESU university, where your company has spent UAH 10mln in equipment. What does KUHN gain in reward from such centers? We have an instant reward, as three of the students were enrolled with the company. They began working from the start of this year. If we did not teach them for a year before, they would not be familiar with the machinery. And now they stir wheels and drive from the first days at work. The main goal is that the graduates joining agri companies become the trained professionals. If a student gets training with old equipment and tools, it will be difficult for him to work in a company that has modern machinery in stock in much respect. Equipment sales require a serious servicing center too. Also, it is necessary to explain the peculiarities of the correct use of equipment and tools at the time of making a sale. After all, if the equipment is used incorrectly, it will break. Consequently, this is a loss for the farmer and it affects the image of our company. Therefore, there are two approaches in order to solve such a situation. One is very expensive, that is to go out to every agricultural producer and conduct exercises there. We do this when we put the equipment into operation. However, we cannot do this all year round, as it bears huge expenses. A more effective method is to attract specialists at the stage of their trainings at universities. It's cheaper. InVenture: In one of your interviews, you have forecasted the sales to increase by 70% y/y in Ukraine in 2017. How are the sales performing and what equipment do agrarians buy? Asad Lapsh: Yes, I really voiced such a forecast. We continue to believe that we will achieve these results by the end of the year. Perhaps we will even outperform it. In any case, we are doing well as the market trends in 2017 are even better than last year. By the way, last year was also a record year for us. Starting September 1, we begin a period of the pre-season orders. As a rule, it lasts until December 1. I hope that the orders for the next year will not be worse than the foregoing. KUHN-Ukraine will be the only company in the world of our offices that will meet its financial plans for 2020 even this year. InVenture: If to consider all KUHN group of companies, what rank does Ukraine have in terms of sales volumes? In this case, we need to look at the situation from a perspective of separate plants among the producers of machinery. Our group has 10 enterprises, each of which produces a certain type of equipment. Let's say that if the market of the so-called "green" line is small enough, it is clear that the Ukrainian market is not a priority for the plant that produces mowers and rakes. But for some factories, our representative office is No. 1 or No. 2 in terms of sales. For example, for us an important segment is the production of spreaders. The second year in a row, we began to work intensively in this segment. The export from the Brazilian KUHN plant to the Ukrainian market accounts to 24% of the total exports of that plant. In other words, it is a great result for us. InVenture: Do you have some equipment that was especially designed for Ukraine? Asad Lapsh: Equipment and tools are different for the markets of the CIS countries, North and South America - where agriculture is pretty much developed – from the samples offered at the European market. It has a wider span and its nodes are designed for a higher force. We understand that if it is a small agricultural enterprise the equipment must operate for a long time. The agronomic practices are short in these markets. Thus, simple machines are not very popular among farmers. Therefore, the equipment must meet all the local market requirements. As a rule, manufacturers make tests in the market where they plan to sell it long enough before launching mass production of equipment. In our company, 2-3 units are constantly tested in the Ukrainian market. The serial production of them may commence in 2-3 years. At the moment, they do not even have a name. We negotiate with the agrarians and give them equipment for free to exploit it. In return, a designer comes to them 3-4 times a year and makes some upgrades, modifications, etc. InVenture: How do you think, what is the optimal payback period for investments in Ukraine? Asad Lapsh: When it comes to buying or building an object that we want to have as a warehouse and office. Then this is a fairly long-term investment and its depreciation period is about 20 years. If we talk about agricultural machinery in Ukraine, I think that the payback period is much faster, because it is used much more intensively. This is a big burden for the equipment itself, and therefore our farmers spend more money on repairs. Operating conditions in Ukraine are strict. It does not depend on the type of soil, but on the duration of the operational use of the machinery and the applicable size of the cultivated areas under tillage. Therefore, presenting unreliable equipment for the Ukrainian market is really harmful for the brand. The success of the business proposal here is equipment that is good, reliable and easy to apply and repair it at need. InVenture: Once you have emphasized that business climate is not favorable for foreign investments in Ukraine. On the other hand, KUHN is present in Ukraine for more than 10 years. 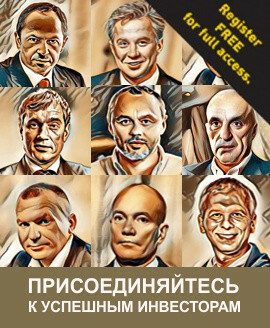 So, how avoid risks while investing in Ukraine? What is your recipe for foreign investors? There are risks. We do not avoid them, but we get along with them. The main problem is with laws and regulations. They do not contribute for investors to be coming into Ukraine. It relates to a big bureaucracy burden at the first place. Investors are not rushing to enter Ukraine or any other country of the kind, as they always consider these issues. Another big deal is instability and war. We get along with all the difficulties, but it would be easier for us and other partners present in the market, if the rules of doing business were simpler. Try to create something even small here. It's difficult, as they will immediately come to you from a sanitary and epidemiological service or firemen, and many other services. It seems like you are going to build a nuclear power plant. And these rules do not change from Soviet times. Can you imagine that somewhere in the Netherlands or France, for rules to remain, like in Ukraine since Soviet times? For instance, it is necessary to conduct a test for alcohol in the mornings following labor protection rules? I do not know why these rules have not been canceled yet. They struggle here with Soviet symbols, but they do not change the destructive bureaucratic norms. Nobody thinks to cancel them. Despite the fact they are absolutely meaningless. Labor protection is important, but in its modern way of doing things. Consider this, we cannot sell equipment as leasing because every time we have to register it, then withdraw it from registration, then it must be registered by dealers, then again removed from registration, then it must be re-registered by a leasing company and sold. I do not know why we have to register a plow every time, which is not a self-propelled unit. Initially, the idea was probably that if someone suffered on the road from such a mechanism, it would be possible to detect and identify it. But the plow itself is not a vehicle, like a seeder, which does not go by itself. But they have to be registered. At this, it is not even clear where to attach these number plates. Of course this can be a profitable personal feeding trough for those who do it. That's funny. I agree that there must be rules, but they must be modern and make sense. All that our company does is aimed at developing our business. And, it can be done in a way that all the market participants benefit from it. And we try to make our business this way only. Fill in the contact details to receive the monthly newsletter!